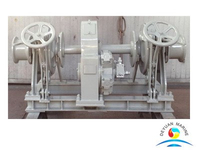 Ship handling equipment, including anchoring equipment, rudder equipment and mooring equipment, plays an important role in navigation, port manipulation or mooring, and is an essential part of the ship.Today we would like to give a brief introduction of these ship manoeuvring equipment for you. To anchor a ship in a certain water area, it must be anchored, use the anchor to grasp the strength of the bottom sediment, and the weight of the anchor and chain to overcome the external forces such as wind and water flow to make the ship drift; the anchor equipment can also assist the ship's manipulation, such as Auxiliary operation in the narrow waterway, turning off the dock, leaving the pontoon; after the ship has a stranding accident, the anchor can be used to stabilize the position of the ship, or the anchor can be used to pull the ship out of the shoal. 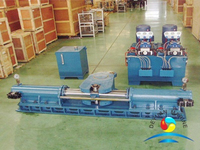 The anchoring device is mainly composed of an anchor, an anchor chain, an anchor chain cylinder, a chain-making device, a chain anchor, an anchor chain pipe, an anchor chain compartment and a chain eliminator. The anchor is a steel structure that can grab the mud from the sea. When anchoring, the gripping force of the anchor and the gripping force of the undercover anchor chain constitute a mooring force to resist the force of the wind, the flow and the like on the ship. 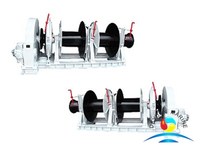 Anchor chain is a link between anchor and hull cable chain. 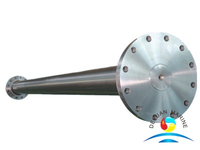 It is mainly used to transfer the anchor's grip to offset the effect of external forces on the ship and ensure that the ship can berth safely in the designated waters. 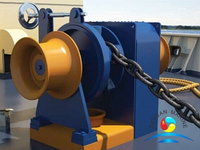 Anchor chain is composed of ordinary chain, connecting chain, connecting unloading, rotating ring and so on. 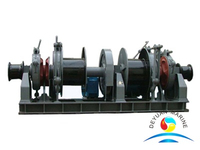 According to the structure of the anchor chain, it can be divided into two types: geared and unshielded. 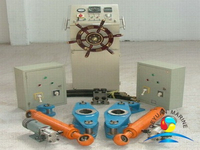 The anchor rings with geared chains are generally used on ships because of their high tensile strength. 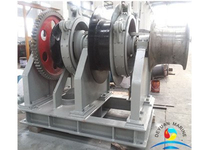 According to the manufacturing method, they are divided into cast steel anchor chains, welded anchor chains and forged anchor chains. Welded anchor chain has been widely used because of its higher quality and lower cost than other kinds of anchor chain. 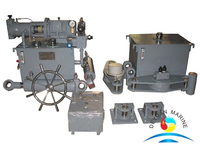 Windlass is a mechanical device for anchoring, lifting anchor, and winching cable. 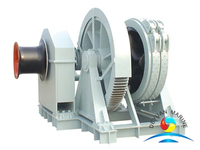 The sprocket shaft of the windlass is horizontally arranged, which is called horizontal windlass. 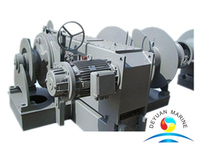 Into the vertical layout called vertical windlass, used for warships. 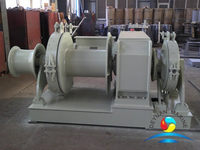 According to the different power, it can be divided into electric windlass, hydraulic windlass and steam windlass. 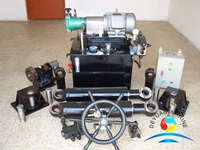 Electric windlass is widely used in internal combustion engine ships. 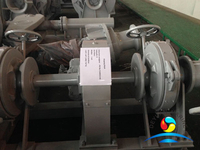 Steam windlass is rarely used in sea ships at present. 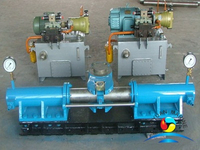 In order to prevent fire and explosion, steam windlass is also used in oil ships. 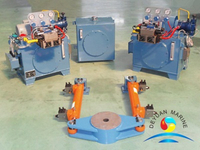 Other ancillary equipment includes chain stopper, chain barrel, chain pipe, chain locker and chain release. The rudder is the main equipment to control the ship, which is used to ensure that the ship can maintain and change its course during the voyage. 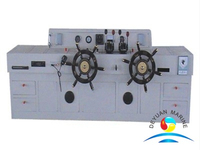 It is mainly composed of rudder device, steering gear, helm and others,which are placed in the bridge, steering gear room and lower stern. 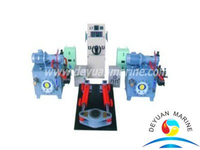 The rudder is operated by the rudder turning the wheel or pulling the steering handle, starting the hydraulic or electric steering device to control the rudder, so as to make the rudder turn forward, reverse or stop. 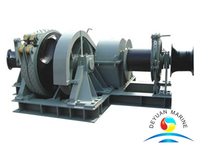 Deyuan can supply all kinds of the above Ship manoeuvring equipment according to your request. 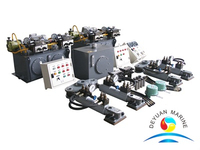 Please feel free to contact us for inquiry. 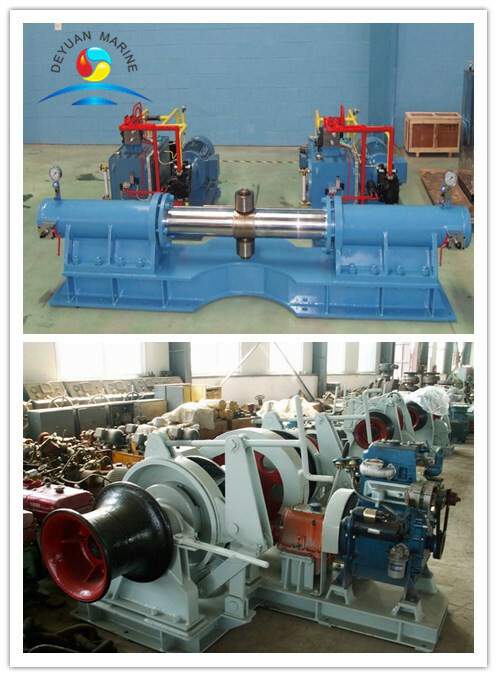 We will try our best to meet your requirements.